This classic work marks the culmination of a definite stage in the socio-economic historiography from the late Middle Ages to the rise of the haute bourgeoisie in the early Renaissance. 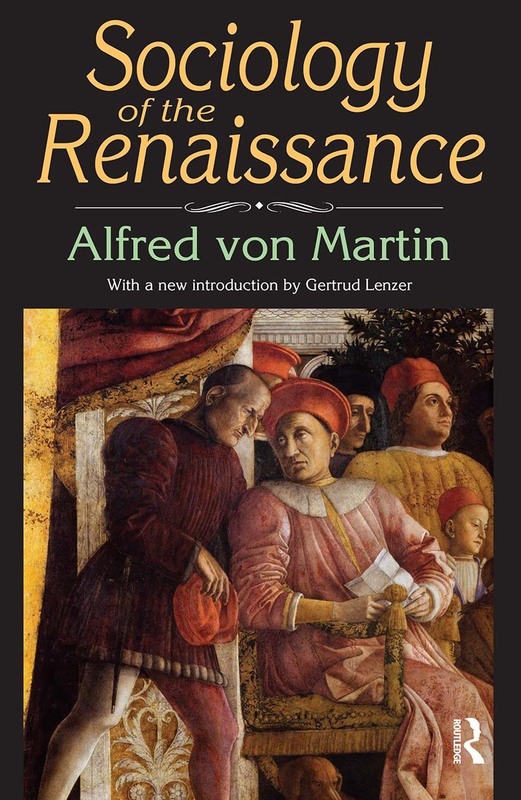 Here Alfred von Martin attempts to discover and define the spirit or essence of the Renaissance, and with it the spirit of early capitalism as it arose in Florence.His analysis focuses on the capitalist haute bourgeois who represented the economically, politically, and culturally dominant class of the Renaissance. As he shows, eventually its decline brings about a new stasis in the aristocratization of the great bourgeoisie as well as the rise of despotism in the fourteenth and fifteenth centuries.The shift from an agricultural to a commercial economy was unquestionably one of the essential elements in the transition from medieval to Renaissance civilization. This book's republication is a welcome development and will make this classic accessible again to scholars of the Renaissance and Renaissance humanism. In addition to its new introduction, it also includes a bibliography of von Martin's extensive writings.